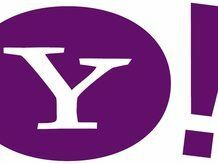 Yahoo is implementing some major cost-cutting measures this week, which will see the company shed up to 1,000 jobs. The internet search engine culled a similar number of jobs in January, and is now looking to cut a further 15 per cent from its budget. Although there has been no official announcement, the Wall Street Journal is reporting that the company is to shed the jobs after it announces its quarterly results this Tuesday. Because of the current financial crisis blighting the world's stock markets, Yahoo has seen its share price dip to $12.90 recently. Earlier this year, Microsoft was looking to take over the company, offering a share price of $33. This equated to a $47.5 billion takeover for the company, which was eventually rejected by Yahoo.